" l am more interested in concentrating on achieving victory both for myself and the party in this very keenly contested elections. He also regretted that the reportage was malicious and designed to distract him from his impactful campaigns. He enjoins the public to please disregard that statement as misleading. 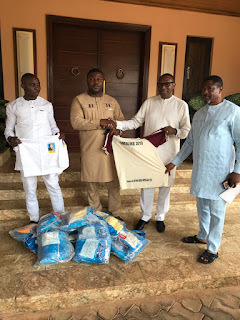 Following the ongoing Uba's campaign in Anambra State, the youth of Uga community has today endorsed the sitting Senator as they declared their total support and loyalty to him. Senator Uba, who was at St Immaculate Catholic Church earlier welcomed the youth with an open arm. The Senator assured them of greater level of achievement for Anambra South Constituency if elected once again.